Our classes for 4 to 6 years old kids offer an initiation to the world of karate that combines learning basic techniques and physical conditioning in a playful and respectful environment. 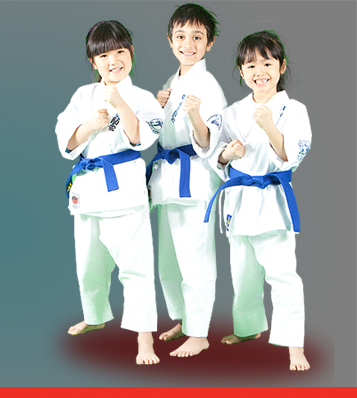 Our certified instructors make sure that every child benefit from the practice of karate. Your child discovers the world of martial arts while having fun… and before you know it, he is ready to move to our regular program (for 7 years old and up). Our young students discover karate rituals in a respectful environment and progressively learn the main Japanese terms currently used at the dojo. They learn basic techniques (punches and kicks) and perform physical exercices adapted to their age. Then they practice the various techniques on protective shields. The class ends with games and a light sparring session (facing instructors) that allows the kids to safely experiment actual fighting.